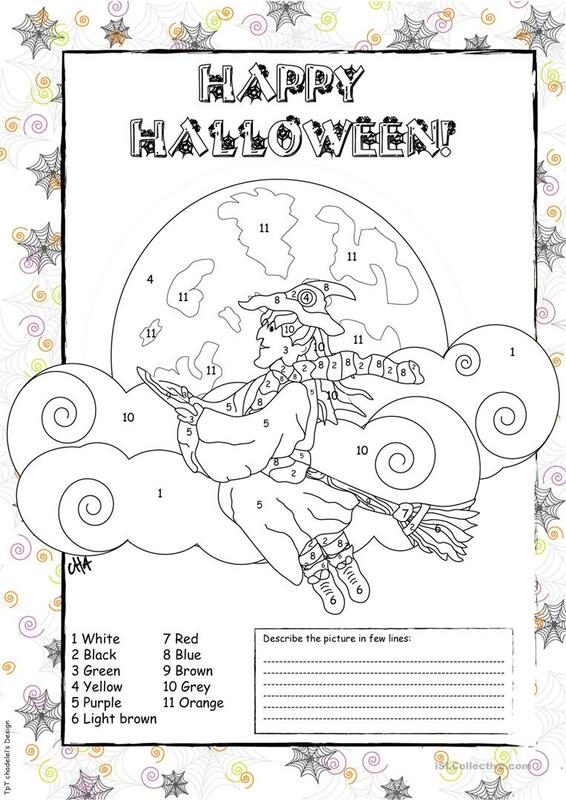 It is a coloring worksheet for kids. Students have to colour this worksheet according to the numbers which are at the bottom of the page. Then, they can describe the picture! Enjoy! Thank you! Cha. The above downloadable printable was created for high school students, elementary school students, kindergartners and nursery school students, adults and students with special educational needs, learning difficulties, e.g. dyslexia at Beginner (pre-A1), Elementary (A1) and Pre-intermediate (A2) level. It is focused on the topic and words of Halloween.